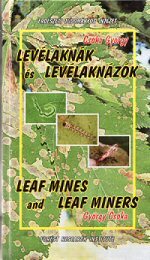 Csóka, G (2003) Leaf Mines and Leaf Miners. A selection of photographs of leaf mines of all orders, with brief descriptions. Hungarian text, with English translation. 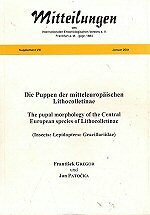 Gregor, F & Patocka (2001) Die Puppen der mitteleuropäischen Lithocolletinae - Text In German, but amply illustrating the European Phyllonorycter pupae. An excellent guide. 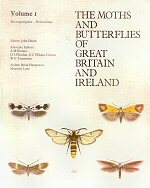 Heath, J & Emmet, A.M, Langmaid, J.R. (eds) (1976 onwards) - The Moths and Butterflies of Great Britain and Ireland: The first four volumes cover the microlepidoptera, with Volumes 1 and 2 having descriptions of many of the leaf miner species. A pioneering work and monumental work. 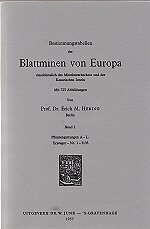 Hering, M (1957) - Bestimmungstabellen der Blattminen von Europa. A large and seminal work. Text in German, many illustrations. 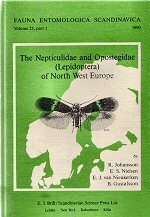 Johansson, R et al (1990) - The Nepticulidae and Opostegidae of North West Europe. 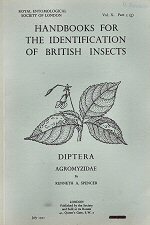 An excellent to guide to a large group of lepidopterous leaf miners. 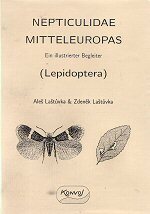 Lastuvka, A & Z (1997) - Nepticulidae Mitteleuropas : a useful pocket sized guide to European Nepticulidae. Text in German, with one species each page. 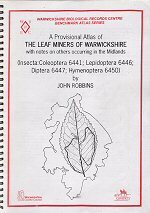 Robbins, J (1990) - A Provisional Atlas of The Leaf Miners of Warwickshire. A useful guide to leaf miners of all orders, including a guide to the leaf miners on each plant species. 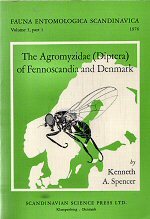 Spencer, K A (1976) - The Agromyzidae of Fennoscandia and Denmark. A very good guide to these leaf mining flies.